I like OpenID. I've been an avid user (and consumer) of OpenID for well over a year now, but I've only recently found time to explore Vidoop, whose self-described mission is one username, no password. I keep meaning to write a more general post about OpenID, but this is what's on my mind at the moment. (Sorry for posting out of order.) In the meantime, you can watch Simon Willison's video tutorial for a good introduction. 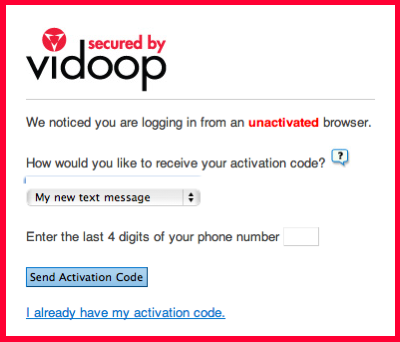 Instead of providing a username and password, you provide an activation code that is sent to you using an alternative form of communication. (In other words, not the web site.) This protects you against security problems in the web site, because a successful attack must exploit multiple mediums. 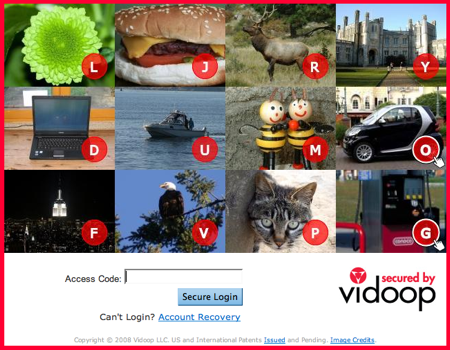 Instead of being considered logged in, you're simply allowed an opportunity to log in via the Image Shield. Thus, the Image Shield is an additional security measure that is traditionally absent. You can view the source of this page to see this in context. Be sure to replace shiflett with your own username, unless you can authenticate as me. :-) You can try your OpenID by leaving a comment below. This didn't exactly answer my question, but I asked a more direct question and got a more direct answer.